People's Democratic Party (HDP) deputy Altan Tan has come in for criticism after he admitted that his party acted irresponsibly when they called on supporters to join the violent protests in southeastern Turkey. The Kobani protests that morphed into violent attacks, claiming the lives of nearly 40 people across the country, have caused a stir between the outlawed the Kurdish Communities Union (KCK) administration and pro-Kurdish HDP deputy Tan. The HDP had initially encouraged supporters to take to the streets, but last week, Tan said his party had acted irresponsibly, saying: "We [HDP] should have been more careful when calling people to take to the streets. We should have considered what would happen after [the call]. I wish we could have done the same as [Nationalist Movement Party (MHP) leader] Devlet Bahçeli." While the self-criticism was praised by some political party leaders, including some within the HDP, KCK Executive Committee member Mustafa Karasu in his column, under the penname "Hüseyin Ali," in the Turkish daily Özgür Gündem criticized Tan's statements on Oct. 17. 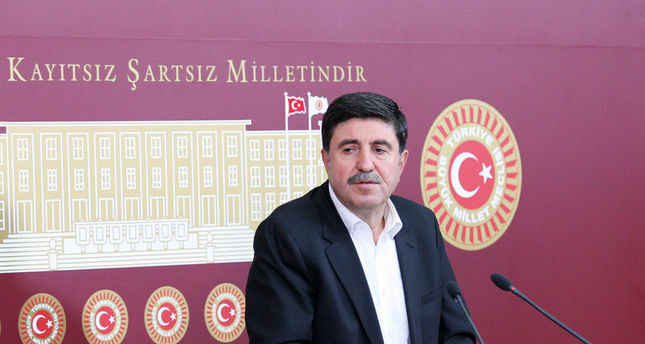 "HDP deputy Mr. Altan Tan is trying to reverse the damage with his statement. He put his own party in a bad position by praising [MHP leader] Devlet Bahçeli," said Karasu. He further alleged that the Free Cause Party (HÜDA PAR), an anti-PKK political party supported by Islamist Kurds, was the first to get involved in the fierce Kobani demonstrations. After accusing the HDP deputy of distorting the incidents, Karasu brought up when "MHP supporters lynched Kurdish people" in the 1970s. Rejecting those accusations in an open letter to the same daily, the HDP deputy defended his self-criticism but refrained from commenting on criticism against his praise of Bahçeli's stance during the protests. While Tan openly supported the notion that protesting is a democratic right, he also said that killing and torturing people, vandalizing cities and assaulting a police station does not fall into the realm of democratic protest. "Kurdish Hizbullah/İlim Grubu declared that it adopted civilian politics with the establishment of HÜDA PAR," said Tan. The HDP deputy said that the recurrence of clashes between different groups would only serve to harm, rather than benefit, the Kurdish people. In last week's interview, Tan said that the HDP should have used discourse that would have prevented violence. "Our deputies, mayors and chairman should have prevented the violence," Tan said while criticizing his party. Underscoring that he did not agree with Bahçeli's political ideology, Tan still praised his stance toward the protests. During the protests, pro-PKK groups set MHP offices ablaze and attacked MHP supporters. In a statement, Bahçeli called for common sense and said that to prevent any further clashes between nationalists and pro-PKK groups, no one should take to the streets with MHP flags or slogans. When asked who attacked whom first during the protests, Tan replied, "Based on my knowledge, at first, demonstrators attacked supporters of HÜDA-PAR and killed three of them in their businesses. Then, they took up arms against the demonstrators. "Setting businesses ablaze harmed the HDP's relationship with the middle class, attacking HÜDA-PAR supporters harmed the HDP's relations with Islamist Kurds and burning flags and demolishing statues harmed the HDP's relations with secular Turks," Tan added.